The following "General Price Charts" are the basis of Joshua Hough's quote for your order of custom Chinese calligraphy. If you already have the Chinese translation, you may use them to estimate the cost of your order. Or to figure out the estimated number of Chinese characters for each English word, you may use Google Translate at http://translate.google.com/ . There are many people selling English names and phrases written in Chinese calligraphy starting from $10 on average per piece on the Internet. The artistic levels, styles, and accuracy vary between different Websites. You may search with Google Images "English names in Chinese calligraphy" , e-Bay, Amazon, etsy...to compare their services, prices and qualities. The prices shown here are for custom Chinese calligraphy without backing paper; they do not include other services such as Dry Mounting, Silk Mounting, Custom Scrolls, and applicable S&H. Prices are subject to change. This is the default size and style if a customer does not specify anything. An article regarding how people should respect Chinese calligraphers or artists. If the customer wishes to specify his/her due date, please email and use the following chart to figure out the new price. Otherwise, the artist retains the right to create custom calligraphy within the Standard Process Time (which is currently 3 to 10 business days) in consideration of many technical requirements for each custom work to maintain artistic quality and reputation and fairness to other customers. 1 business days before end of S.P.T. 2 business days before end of S.P.T. 3 business days before end of S.P.T. 4 business days before end of S.P.T. 5 business days before end of S.P.T. 6 business days before end of S.P.T. 7 business days before end of S.P.T. 8 business days before end of S.P.T. Example: Suppose the customer makes an online payment on Feb. 1 for an amount of $45 plus shipping. If he does not specifies his due date, the custom calligraphy will be ready by Feb. 15 which is within 3 to 10 business days after payment, regardless of the transaction amount and number of Chinese characters. If he specifies the custom calligraphy to be created by Feb. 7, which is six business days before Feb. 15, the new price will be $45 x 160% = $72 because 100% + 6 x 10% = 160%. If he specifies the custom calligraphy to be created by Feb. 12, which is three business days before Feb. 15, the new price will be $45 x 130% = $58.5. 1. 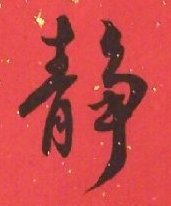 While Western calligraphy and computer fonts often pursue font-like uniformity, homogeneity of Chinese calligraphy characters in one size is considered only a craft (not art) by the Chinese people. Thus, Joshua retains the right to write the Chinese characters within 10% differences of the above listed sizes due to artistic perspectives. While the Running and Walking Styles will vary in sizes more "dramatically" than Standard, Clerical, and Seal Styles, Joshua retains the right to write the Chinese characters within 30% differences of the above listed sizes due to artistic perspectives for the Running and Walking Styles. The prices will be based on the "average" sizes of all characters of the whole content. Larger characters, though technically easier than small characters, will require more time in preparing ink. 2. Additional characters for each recipient's name will be $25 per piece. This is because those characters in smaller sizes are more technically difficult than the main contents of the work (smaller characters are usually more difficult than larger characters due to precision requirement). Joshua retains the right to decide on the position and sizes of those extra characters to conform to the traditional norms which have been established in China for thousands of years. When Chinese sign and date our Chinese calligraphy and painting work, we follow certain sets of rules and norms which may not exist in Western calligraphy and painting. My signatures and seal stamps are free per your request or my suggestion. There is no "How to Fix a Mistake" in Chinese calligraphy after each stroke is done. 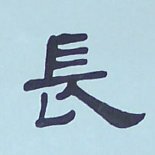 Amending or retouching (called “Miao 描 ” in Chinese) is considered a "failure" and "dishonest" in practicing Chinese calligraphy. It’s forbidden for all students and calligraphers at all levels. In China, calligraphers, literati, officers, emperors or presidents will lose trust to people if they are found to retouch their brushstrokes in brush writing (not in pen writing) since Chinese people consider very seriously that Chinese calligraphy with ink and brushes should be done once and once only directly from one's real skill and heart and should not be done in a painting or drawing manner in which a painter can retouch, amend, or change a stroke repeatedly. This is very different from other cultures or arts.